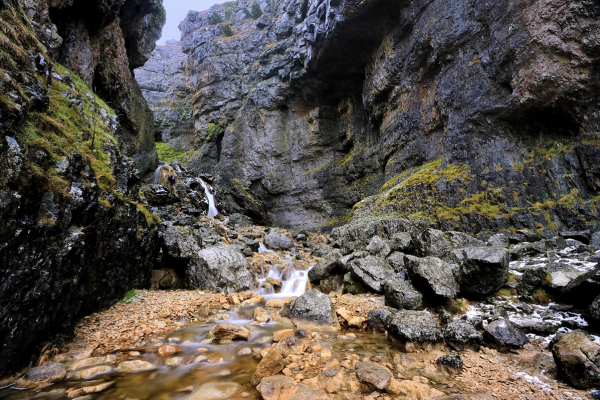 A five-minute walk from Janet’s Foss, through a breathtaking valley, will lead you to Gordale Scar. This dramatic limestone ravine is well worth a visit, with its two waterfalls and 100m high cliffs. A right of way leads up the gorge, but be prepared for a bit of a scramble.